Moving Ahead with Moving in Together - MoveStar Inc.
Are you and your partner thinking of moving in together? If so, you’ve undoubtedly been doing a lot of thinking about the logistics of blending your two households. If not, maybe you should start! If you haven’t spent hours wondering how you’re going to make two homes work as one, though, never fear. 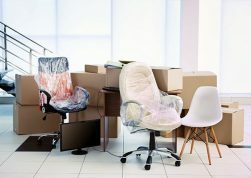 We’ve gathered some great tips from industry insiders on how to make your move-in work – and make it move your relationship forward instead of making you cranky with one another! Before moving in together, it’s important to make your expectations and desires clear to your partner. Whether you’re moving in with a roommate, a family member, a romantic partner, or someone else, it’s important that both parties understand what the other is expecting. Who is bringing their stuff? Are you both relocating? How far are each of you moving from your current location? Is someone moving closer to work, family, or another important element of their life? These are all things to consider before moving in together. It’s important to draw up documentation for who will pay for what before you move in together. Even if the relationship – be it romantic or otherwise – falls through, no one will be stuck paying for more than their share. It’s important to maintain some sense of self when moving in together. Yes, you may feel like sharing everything at first, but remember that you might want to have your own things in your own space occasionally. Plan for this by packing a “mine only” box each. You’ll be glad you did. Think you might need help ironing out the details of your move? 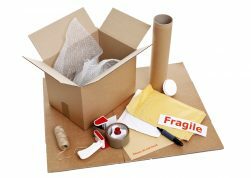 Don’t have buddies in the area to help you two move your things into a single location? We can help with that. Contact your local experts at MoveStar Inc. Our experienced, knowledgeable, and reliable staff can help you make your move work regardless of circumstance – and help make it into one more great memory for the two of you!